I am very pleased to say that Head Gardener Paul and his team prepared and white-lined on Court 1 this afternoon. This meant that I had just enough time to set out the hoops on that court before it got too dark! preserve the ground at their correct summer positions. (4) Always repair your divots straight away (before another ball is played) - this is especially important in the winter when the ground is soft – there is a repair tool in the pavilion drawer. (5) Play quickly – it is too cold to stand about! (6) If practicing, please don’t just run hoops over and over again because with soft ground rabbit-runs will develop very quickly indeed. Think about practicing other things. . .
Later this week – Court 2 has been mown and will be white-lined in the next few days, allowing the siting of hoops there too. Once that court is also available for play, I will write again and designate certain days for ‘Mix-in’ sessions and open up the on-line court booking system for other times. Until then, there is no ‘booking of the courts’ and I ask that you all please be sure to involve anyone that turns up, and if there are more than 8 of you, take a turn sitting out. The following players have received handicap adjustments at the discretion of CA Handicappers Chris Roberts and Frances Colman, in line with CA directives. Decisions take account of competitive singles activity (or lack thereof) where insufficient games have been played for the Automatic Handicapping System to truly reflect a player's current ability, especially when judged against players of similar ability away from Phyllis Court. Several members who are now either inactive players (or are only very seldom so), former players or social only members, are now shown on our website handicap list in the ‘inactive’ area. Last held handicaps are recorded so that if these members resume playing sometime in the future, their past standard can be taken into account when setting a resuming handicap. The list assumes for the time being at least, that unless already notified to the contrary, everyone will be re-newing their membership (we do hope so). The hoops are in on Court 2 as weell, so it's all systems go now! 'All comers' has a new name - it's now 'Mix-in' and it starts tomorrow. Okay it was jolly cold today but full marks to Dianne Browne (below). and Dylis Earnshaw who played for an hour or two and were rewarded by a beautiful bright day despite the temperature. 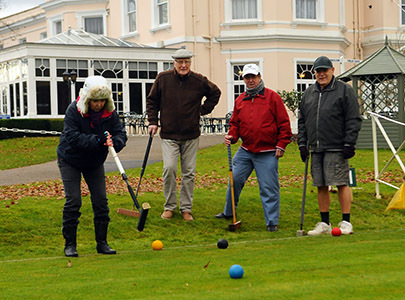 Those that came along to our Pre-Season meeting and/or Winter Lunch all had a good day at the Club today - some even played some croquet afterwards!. About 40 attended the meeting to hear what is in store this season - details of which will be sent out in a number of e-mails in the coming days. The Lunch was very tasty indeed, and a marked improvement on last year, which is a good sign for us an The Club in general. 26 January - Season-long competition entry forms sent out - NOW IS THE TIME TO ENTER! There is something here for all levels of ability and so we do hope that everyone will get involved – new and previously reluctant players are especially encouraged. Let’s make this a record season for participation! 26 January - Day tournaments programme sent out - includes two new evenst aimed at high handicappers! All of the familiar tournaments are retained for 2017, but we also have a couple of new ones – directed particularly at those at the high handicap end of our club (which is the majority of you). With the exception of the May 17 tournament listed below, entry to all our internal tournaments is by the ‘sign-up’ sheet for each which will appear on the pavilion notice board. This will appear 4 weeks before the relevant tournament – first come first served. Leading the way for other clubs around the country we will be hosting the first Nationally advertised level play tournament for player with handicaps of 7 or more. This paves the way for a National Series of such tournaments that will be launched in 2018. We do hope that in addition to visiting players, we will get a good showing from our own members. Entry to this one is via a Croquet Association entry form and needs to be done ASAP – contact me (Chris) straight away, if this interests you. For Phyllis Court players only – another chance to show what you can do. This one is particularly targeted at last (and recent) season’s beginners and all you ‘all comer/ mix-in’ players that have been reluctant to enter a tournament before. This one has been deliberately staged on a Thursday when you all will be due to play croquet anyway – please do support this new venture – it’s meant for you! 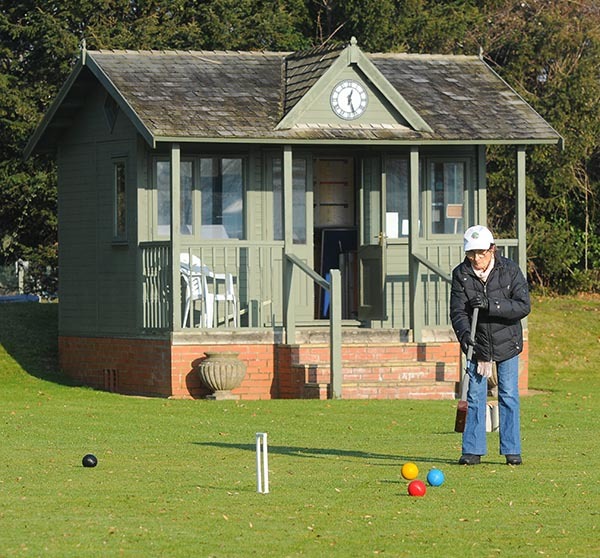 15-16 March - The Croquet Club have invited the UK’s top coach Cliff Jones to run a GC Rules and Referees Qualification Course. The more serious of our own players will join several visitors for this course and it is hoped that some will take the examination to become greatly needed qualified referees. An option to some to attend just the first ‘rules day’ will appeal to some, and entries are already coming in. Colman and Roberts will be running a Tournament Management Course. This will be another classroom course and a chance for our own and visiting competitive players to learn how tournament tick. This will be a mostly on-court day (if th e weather is kind) - split into a morining or afternoon class. This is aimed at last year 's and other recent new players especially, as well as 'mix-in' regulars who want to improve thier game - e-mail Chris if this interests you. 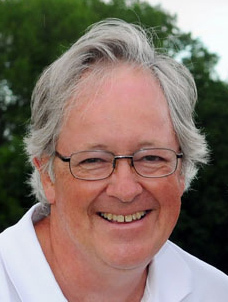 Roger Goldring and Chris Roberts learnt this week, that they had been selected Croquet Association's ten-player International Performance Development Squad (IPDS). Their selection was attributed to their steadily increasing UK ranking grades which are a good indicator of improvement and promise, coupled with the large number of games that they both packed into last season. Goldring's tally of 172 ranking games last season was one of the highest in the world! This selection is a feather in their caps and in that of Phyllis Court because there is only one other club, Nottingham, with a similar duel recognition. There was a 'Croquet comings and going' at Heathrow today when Frances Colman and Chris Roberts few back from playing in South Africa and Roger Goldring took off for croquet courts in New Zealand! The Southern Cape AC Championships at Somerset West (about 45 minutes from Cape Town) had, once again, been the draw for Frances and Chris, whose annual migration was rewarded with scorching sun almost throughout as usual. Chris reports: 'We both had early exits from the handicap knock-out and plate on the first day which was disappointing, but Frances recovered well to later win 50% of her block games against closely matched opponents. 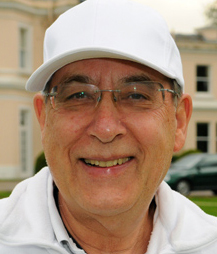 I also won 50% in my block and was the only one to beat the top player at the event – Mark Avery (AC –2 handicap) who only just missed out on a place in the upcoming England Mac team. This was my biggest AC win ever by some way because Avery is no.25 in the World. 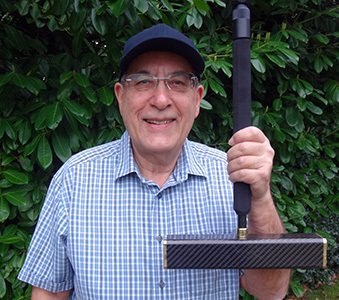 Roger Goldring flew off to Auckland, New Zealand, today armed with his brand new top of the range 'Trimmer' mallet. It only arrived in the last week and Roger has been practicing feverously with it. "25-26 Feb, I'm entered into The Counties-Manukau Croquet Association Annual GC Tournament: at Manurewa CC, which is about 20m south of Auckland.I'm is in the Level Singles event (on Sunday 26th). 1-5 March, I'm entered into The Pukekohe Croquet Club Annual Tournament: at Pukekohe CC, which is about 35m south of Auckland. And again I'm in the Level Singles event (on Sunday 5th). 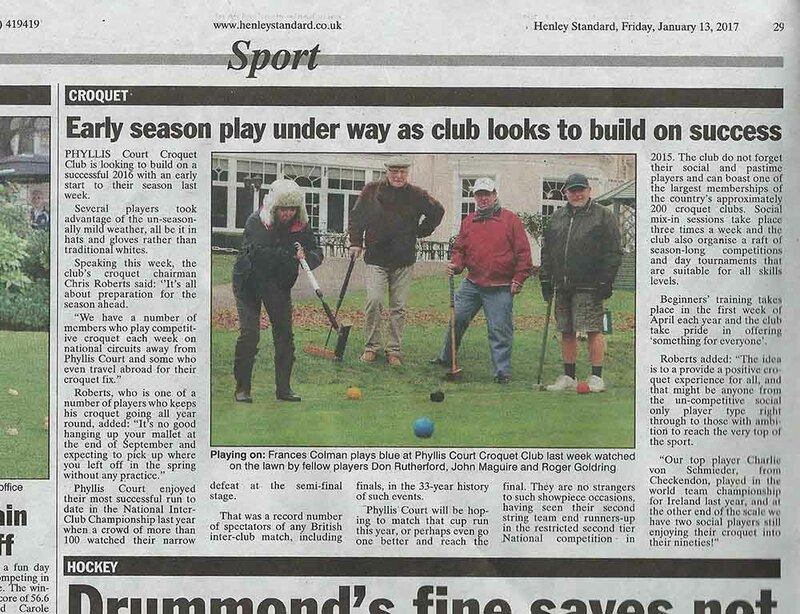 I'm visiting four croquet clubs in and around Auckland: they are Orewa, Point Chevalier, Mt Albert, Howick. A fifth visit, to North Shore (Devonport) is also planned. 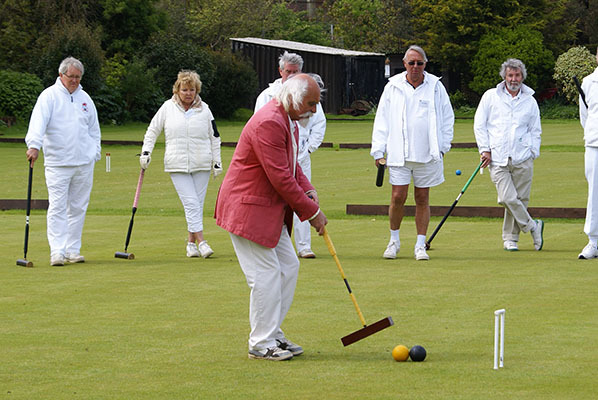 Auckland is well served by a lot of croquet clubs. 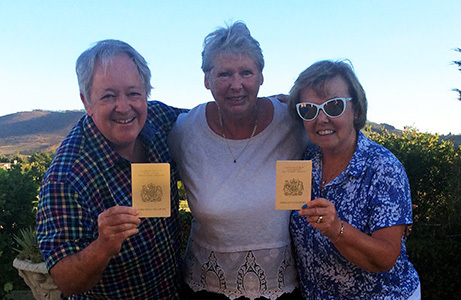 And my impression so far is that - like New Zealanders in general - they are a very friendly bunch, and welcoming." "I had a middling day at the Counties-Manukau Croquet Association Annual GC Tournament (Level Singles) at Manurewa club, which is about 20 miles south of Auckland, with 3 wins and 4 losses. My wins included a couple of “scalpings” against a -1 and -2 both from the Howick club that I’ll be visiting again during my three weeks. My final game was against the New Zealand veteran, the world class Bob Jackson, a -3. I strongly contested hoop 3, the battle going on for a quarter of an hour, with some quite decent clearences from myself in "hopeless” situations, but the wily Bob finally prevailed, and with his skilful play he slowly moved ahead and took the game. The tournament ran very smoothly and it was a great day, in perfect summer weather, with hosts were friendly and welcoming."